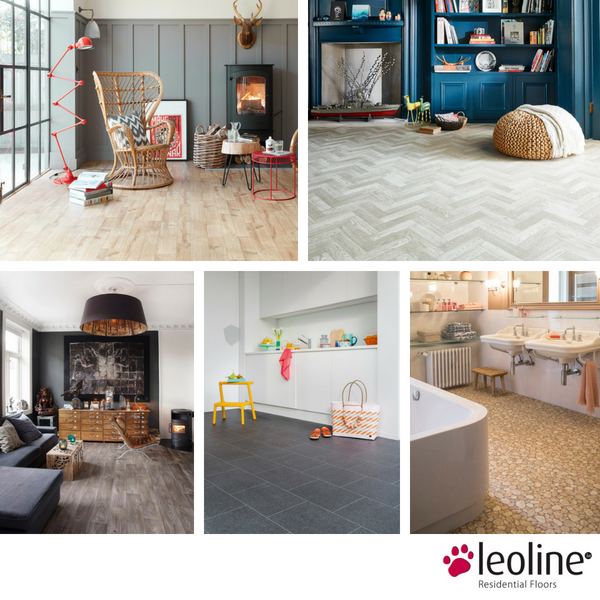 Leoline Vinyl Flooring will add beauty, comfort and simplicity to your home. Faithful recreations of nature's patterns, textures and colours create a wide variety of sheet vinyl choices. At Bramley Carpets we have the complete portfolio on offer with such bestsellers as Quartz Pro PU, Stonemark and Woodmark Collection along with the Supercomforts range. Comfort- Leoline sheet vinyl has a cushioned backing so feels incredibly comfortable underfoot. Water-Resistant- All products on offer are water-resistant so any spillages can be easily wiped up which makes vinyl perfect for Kitchen and Bathrooms floors. Easy To Maintain- Unlike a real wood floor, vinyl flooring is a breeze to take care of. No need for re-sanding, varnishing, sealing or lacquering, vinyl is there to stay and most stains can be easily removed with a damp cloth. Value For Money- One of the key advantages of Leoline sheet vinyl is cost, if you're on a budget and want a simple and easy solution to complete your floor, then vinyl may be the best option for you.